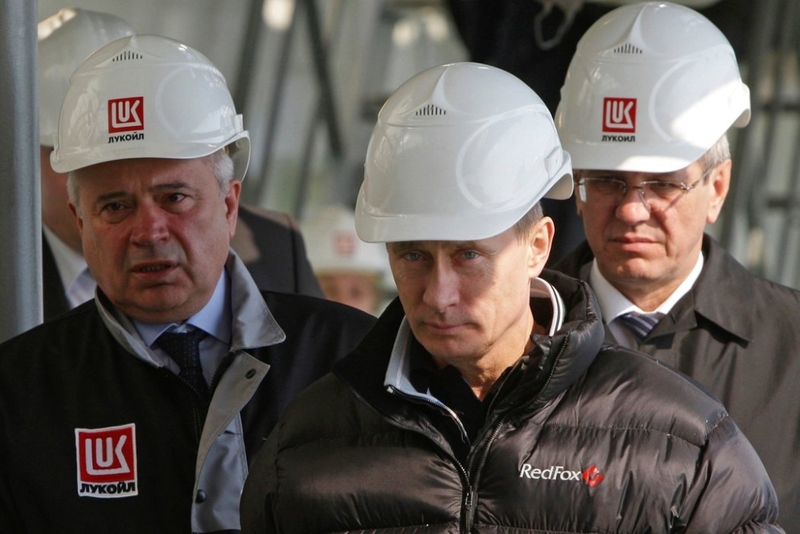 To deal with Putin, Britain needs to change lock, stocks and oil-barrels, argues Steve Rushton. Six months after the nerve agent attacks in Salisbury, the British state says Russia poses a ‘real’ and ‘active’ threat to British and international security. To deal with this, we need to end the dominance of finance, the military industrial complex and other corporate interests. Britain needs to change lock, stock and barrel: ask itself what its national interests are. It must stop business as usual by locking up money for Russian billionaires, selling stocks in Russian national bonds and dealing in Russian barrels of oil and gas. Scrap corporate interests; national interests should include everyone’s interest, including people getting about small market towns. It goes further. Really dealing with Russia has many significant socially progressive ramifications. The City of London is the Kremlin’s laundrette, for all the money it launders for Russian oligarchs. These billionaires prop up Putin, directly empowering him as his cronies; indirectly supporting him with the businesses that facilitate Russia’s military industrial corporate complex. The committee set out action points, including stopping Russian businesses floating on the stock exchange, cutting out loopholes in sanctions, extending sanctions, cracking down completely on the sale of Russian national debt and stopping money laundering and global tax evasion. Responding to the committee, the government has said it is taking steps to deal with all the issues raised. But the government promises a lot, whilst the bankers can continue to bank on piss-weak oversight. On March 28, three weeks after the poisoning of Skripals, the Guardian reported how PM May was ‘considering’ banning the City of London from selling Russian debt. Two months later, the select committee told her to action this. Sanctions on Russia did reduce the amount of foreign owned Russian bonds, but as they are still sold on secondary markets: According to Russia’s central bank, 27.6% are foreign owned in late June, many by private pension firms. A Bloomberg piece explains that the UK needs collective action with European partners to crack down on the Russian debt in secondary markets. Something trickier with Brexit. The UK will also not want to impact its investors, according to the analysis. But unilateral action is not impossible. Belgium stopped Russian bond sales after sanctions over Crimea. The bottom line here is that the Russian state is still raising money directly, through the bonds it sells, in financial centres like London that sponsors its activities that pose real and active threats to UK and international security. Alongside direct fundraising for Russia, we are selling shares and giving Putin’s cronies access to Britain’s global tax haven empire. The sun never set on the British tax haven empire; half the world’s tax evasion hubs through the City. There are many specific examples of the City of London’s love-in with Russian Roubles. From top London law firms to former senior Tories still trading with Russia. Economically, Professor Anastasia Nesvetailova explains, in a world of Brexit the City will not willingly let go of Russia, or any other emerging markets for whatever ethical reason, as its business model depends on them. But this story is wider. The LIBOR rigging scandal showed just one regulatory failure. The Panama Leaks and Paradise Papers illustrate the scale of tax havens. HSBC, in one case was found guilty of enabling money laundering for terrorists and Mexican drug lords. One person ‘responsible’ at the time went on to head the BBC Trust. The Conservatives are in bed with the City’s tax avoiders, including the PM’s husband. Fundamentally, within its business model – that is only set to expand with Brexit – the financial sector relies on dodgy deals with nefarious characters. To tackle Russia, we need to put democratic oversight over the City of London and tackle our own cronies. The government makes constant noise about how its dealing with financial corruption. The latest scheme means British tax havens will have to admit whose money they are hiding. But rest assured the billionaires – including Putin’s cronies – will likely find loopholes. We will know when the billionaire’s assets are getting taxed. Five billionaires own the vast majority of British print media: they are our canary in the treasure island. Cracking down on the City of London corruption reads like a radical leftist solution to Russia. But in reality it is just following through with the logic of official government policy to hit Putin where it hurts. It means disavowing another official policy line let the city get away with anything. Other ways to challenge the real and active threat of Putin’s Russia have equally socially progressive implications. The housing market is a bolt-hole for global billionaires’ money, especially in London, much from Russian oligarchs. New Zealand shows that you can ban foreign rich investors; their rationale is to stop people buying safe-houses on this melting world. Britain could ban buy-to-leave, as an effective measure to keep Russian Roubles out. The people again would benefit at the cost of the super-rich. Britain’s military industrial complex needs to delink from Russia’s. For instance a Russian billionaire ally of Putin, Oleg Deripaska whose company is part of the military industrial complex raised £1billion floating on the London stock exchange, as the Foreign Affairs select committee highlighted. And only recently, Russia’s nuclear weapon programme was found to receive funding from British banks, and Russia was a regular attendee at DSEI, London’s massive arms fair. Again, this has very positive implications as it opens up the question who else should we actually stop arming, or what else could we do with these skills and resources. Renewable energy is one obvious answer. The renewables industry would also assist us delinking from Russian oil and from our reliance on gas. One clear step would be for BP to drop its sizeable share in Rosneft, the state controlled oil giant. One positive knock-on effect would be Britain stopping Russia’s Arctic oil drilling plans. Britain should also stop fracking. Firstly, if you are worried about foreign powers poisoning the country, why let an industry that poisons for profit? Secondly, the key architect behind Britain’s fracking plan, Lord Browne, now works for a Russian oil firm involved in Arctic drilling L1 Energy. This means the blueprints for this industry extremely vulnerable for sabotage are too close to Putin and his intelligence services. On another issue of state security, since the threat level about Russia has risen, British state security services suggest they are diverting resources away from ISIS. One way for Britain to strengthen itself on ISIS with limited resources would be to issue stronger support the Democratic Federation of Northern Syria [aka Rojava]. This is the strongest challenge against the fundamentalists, and best hope for Syrian peace. With its bottom-up councils, it is also a global leading example of democracy. Reigning in corporate power, shifting and decentralising the economy to whittle down the City of London, stopping unpopular fracking. These are all democratic outcomes of policies to deal with Russia. The biggest democratic reaction to Russia has yet been mentioned. There needs to be a full and extensive investigation into the Dark Money pumped by Russia into the Brexit campaign, including into the DUP and Scottish Tories. Every penny of political funding to Conservatives or any other party should be returned. Essentially, to deal with Putin’s Russia, we need to realise Putin is not an affirmation of the neoliberal age that is shifting worldwide towards authoritarianism. He is a central product of this age, he is now driving this shift. Destabilizing the world, invading countries, meddling in elections, all funded through the same crony capitalism we manage. Eh, isn’t that what the UK does, along with the US, France and anyone else willing to go along for the ride? The hypocrisy in this article is breathtaking and presumably the writer believes anyone reading it will just swallow all of it without question. Who was it set tens of thousands running from Afghanistan, Iraq, Libya, Syria? It wasn’t Putin! Who trained and armed rebel forces linked with IS and al Qaeda in Syria? Not Putin. We did! Some of us are heartily sick of being treated like idiots and of hearing and reading allegations and suspicions being presented as facts. The whole Salisbury debacle gets more ridiculous by the day. The BBC is the worst offender as they wheel out all these “experts” who really aren’t giving us facts but simply speculation. It is becoming embarrassing. The ex Foreign Secretary was caught out plain lying to the media about the origin of the substance used in relation to the Skripals. Boris claimed Porton Down had identified it for certain as having come from Russia. The head guy at Porton Down had to come out and make it clear they had said no such thing! May still ran with it, dragged other countries in and the BBC broadcast it over and over. When it comes to filthy, dirty politics, corrupt government and broadcasters of propaganda I’m surprised there’s time to look at Russia or RT. Not when we are drowning in all of these things ourselves right here in the UK . Thank you for this comment. It saves me the trouble of writing the same thing. It was the US that abandoned its nuclear non proliferation treaty with Russia, who wanted to retain it and tried hard to keep it in place. The US has also armed former USSR states bordering on Russia with nuclear missiles. Something the US would never tolerate. In this context it seems Russia has taken defensive moves in case the US comes to think it can win a world war, with first strike capabilities. The Us has also embarked on trade war with other nuclear powers, especially China. Similar arguments apply to Chinese south sea island excursions re defensive action towards US military bases. Please let us know on what basis the you further the inference that US and its allies, such as the UK, are more of threat to peace, the environment or democracy than Russia (or China). Strange naivety to believe Putin / Russia is more of a threat to average people’s lives, their human and democratic rights, in Britain or the US, than their own governments. Or to believe that UK or US governments are in the least concerned about the financial abuses of national or international capitalist elites, whether minimally democratic or fully authoritarian. Why has Bella published this article? Why are you furthering the British state’s latest scapegoat and distraction for its ongoing trashing of its own people? Hi Kate – we don’t believe its a zero sum game: Russia Good/Britain Bad, or Russia Bad/Britain Good. That’s why. Both states have deplorable records on multiple fronts, but to Putins Russia is odd, why would you want to do that? Probably the worst thing I have ever read here. You are emulating the most insidious elements of the mainstream media. What a fall from grace as the darling of the new media landscape post-indy to this offensive drivel. Why bother coming here when I can get this pish from the BBC, The Guardian or the Daily Mail in a variety of odious flavours already? Utterly heartbreaking. Hi Brave Anonymous Poster – I wonder what issue of substance has triggered you so? You’ve certainly laid your stall out there, pal. Spooky stuff, altogether. I’ve altered your last paragraph to make it factually correct. Essentially, to deal with Trump’s USA, we need to realise Trump is not an affirmation of the neoliberal age that is shifting worldwide towards authoritarianism. He is a central product of this age, he is now driving this shift. Destabilizing the world, invading countries, meddling in elections, all funded through the same crony capitalism we manage. After reading the critical comments of Steve Ruston’s article I re-read it in case I had missed something which these complainers had seen. The article conveyed a quite different message to me. While it was critical of Russia, it was also highly critical of the UK’s behaviour especially in financial matters. I do not believe Russia is contemplating a military threat to the UK, as the UK Government would like us to believe, but I do think it is in the business of destabilisation by other, much cheaper, means. That does not mean I exonerate the UK from equally bad behaviour, far from it. I agree strongly with the editor’s comment. Seems a reasonable comment to re-read the article and find as you say it being “highly critical of the UK’s behaviour”. However what I found was a statement that is no more than a slap on the wrist of the UK governments complicity in the use of funding from Russia to pervert the principles of Democracy in that “There needs to be a full and extensive investigation into the Dark Money pumped by Russia into the Brexit campaign”. By inference “pumped Dark Money” seems to be just an oversight pushed by Russia not requested by the UK, that should be returned now someone has spotted it. You need only look at the duplicity of Westminster Brexit negotiations to understand this is not how things work, telling the UK Media that we are all leaving the EU as one with no special deals for England, Scotland, Wales or NI yet secretly instructing Brussels to offer NI special EU access without border while explicitly stating Scotland is to recieve no such concession. Suggesting that the Dark Money issue can be sorted by those responsible undertaking an “extensive investigation” of themselves is risable. death and destruction in all sorts of countries and sending a multitude of refugees running for their lives..to Europe..where they have been made most unwelcome and accused of destabilising countries here! And you feel the author has done well by conceding that the UK has been naughty in financial matters? Wow! Also, the hyperlink “world’s tax evasion hubs” links to a two-parter I wrote exploring how Britain is the most corrupt country in the world. Beyond this, I have written thousands of words against the British state, City of London, as well as how to build practical alternatives. So why are these not all detailed in this article? 1. The key point of article is the duplicitous nature of British government saying we need to deal with Russia, but then bankrolling it. I’m undermining their own ‘logic’. 2. To deal with this point, a lot of detail needs to be given to the lip service Britain is making saying that it will deal with Russia, the latest developments with sanctions and so on, then explain why this is lip service (rather than effective measures). 3. Can you really imagine Britan’s military industrial complex, its war machine, its oil industry continuing without being propped up by the City of London? In an article there is always room to go further, moving towards the word count of, say, a book. The subject of climate change arises, as does Brexit. On both these issues critics could say: why did you not go further? The short answer is conciseness. Also, at least another 1,000 words could be given to the relationship between Trump and Putin and Britain.